We are committed to preventing, identifying and removing barriers that impede an individual's ability to access care and services, or to work here. Spiritual care affirms the inherent dignity and value of all persons, and respects different spiritual perspectives and practices — which may, or may not be rooted in a religious tradition. 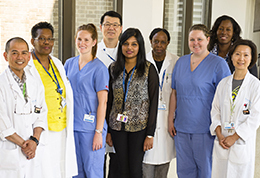 Communications & Stakeholder Relations works to create, strengthen and maintain relationships between the hospital and its staff and patients, other hospitals, government groups, media and the general public. 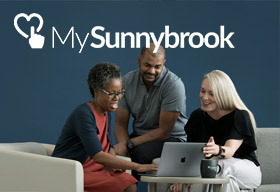 A free email service to send messages to your family, friends and loved ones while they are patients here at Sunnybrook. 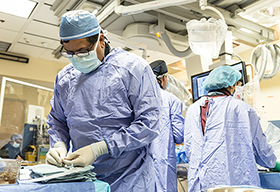 The Freedom of Information and Protection of Privacy Act ("FIPPA") is provincial legislation that will apply to Ontario hospitals on January 1, 2012. How to obtain copies of health records. Sunnybrook can arrange for interpretation services. Please note that advance notice is required. MyChart is a website where patients can access and manage their personal health information. If the staff on the unit or in the department have been unable to help address your concerns, you may wish to contact the Office of the Patient Experience. 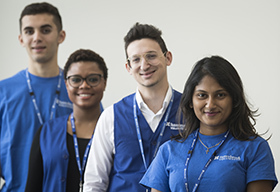 Sunnybrook’s Patient Navigation Advisor's role is to help you better navigate the health care system by answering patient and visitor questions. There are a few situations in which patients are charged for products or services that are not covered by OHIP or other insurance. Telemedicine uses two-way videoconferencing and advanced information communication technologies to deliver examinations, treatments, clinical, education and administrative services to more than 360 urban, rural, and remote health care sites throughout Ontario.